It's been an interesting past couple months for Destiny 2. Between the lack of a compelling endgame to which to return and the recent XP brouhaha, the loot shooter has gotten a little bit of a black eye. 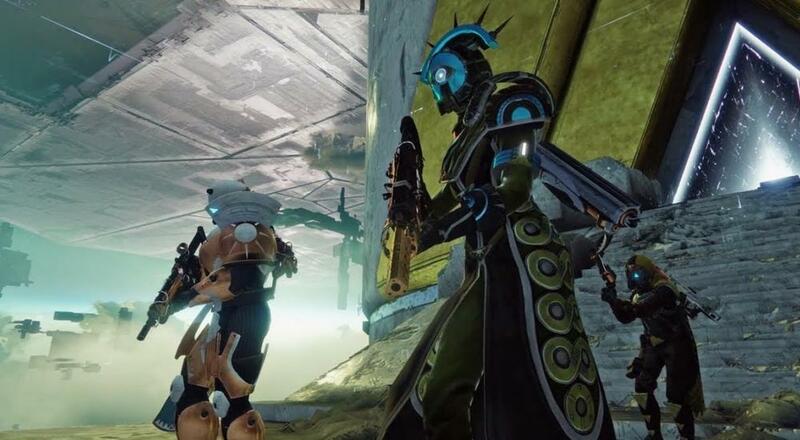 Bungie is hoping to turn things around this month with the new "Curse of Osiris" DLC that hits today (thereby adding more content), and a big update planned for next Tuesday that will address some of the game's underlying issues. If you've already picked up the DLC, either by buying it directly or via the Season Pass, then you can start pre-loading that content now. Fair warning for console users, you may need to free up some space. The DLC requires 88 Gb of space on the PlayStation 4, and 44 Gb of space on the Xbox One. That new planet and new guns need room, man! As we've previously discussed, the "Curse of Osiris" expansion includes new story missions, a new planet to explore (Mercury), new guns/armor, new Strikes, and a new six-person activity called a "Raid Lair." This lair uses the existing raid area (the Leviathan) but opens up new places to explore and new challenges. The only advantage (based on how it's been described by Bungie) that it has over the regular raid is that it will take less time to complete. The most interesting new addition that's coming with this DLC is the "Infinite Forest," an area on Mercury that allows players to delve into the past, present, or future and encounter new challenges each time they do. When showing this off, Bungie was careful to say that this is not a "procedurally generated" area that assembles things randomly, but that it should offer something different each time players enter. Hopefully, that holds up. New content aside, there are some additional changes in store for the game. Next week, many of the bigger updates/tweaks that Bungie outlined in their "State of Destiny 2" blog post last week are slated to drop next Tuesday, December 12. These changes include new "Masterworks" versions of Legendary weapons that will add randomly selected stat bonuses to said guns, the ability to buy faction armor and weapons directly using rep tokens and legendary shards, and more. Full details can be found in the blog post. We'll be streaming some of the "Curse of Osiris" DLC tonight on our Twitch channel, so be sure to tune in at 10:00 PM EST to check that out. We'll also be putting together our overall thoughts on Destiny 2 as it stands now with this new content for our full Co-Op Review, so be sure to keep an eye out for that. Destiny 2 is available on PC, Xbox One, and PlayStation 4. It supports three player online co-op throughout, and six player online co-op in the Raid. You can check out our Co-Op FAQ if you have any questions on the co-op front! Page created in 0.2955 seconds.